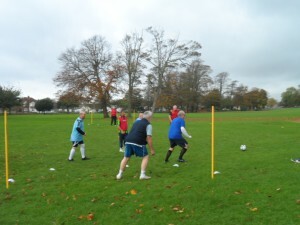 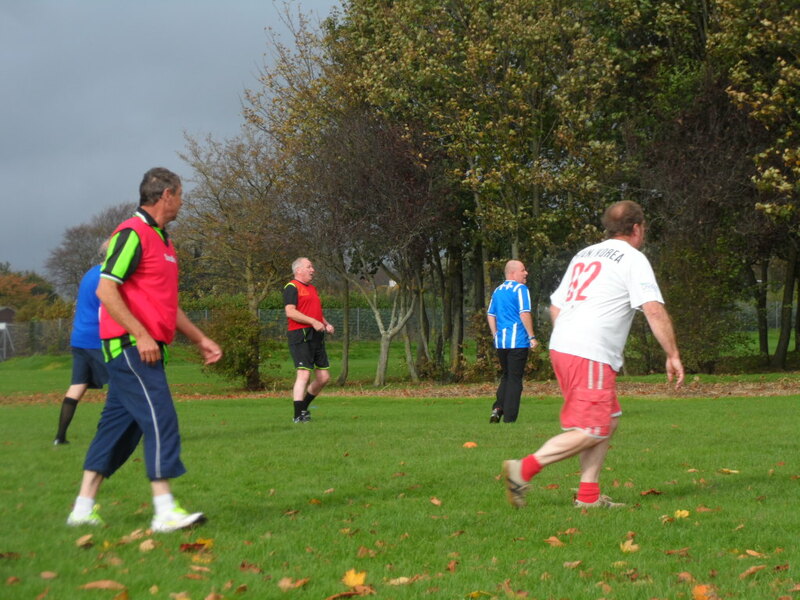 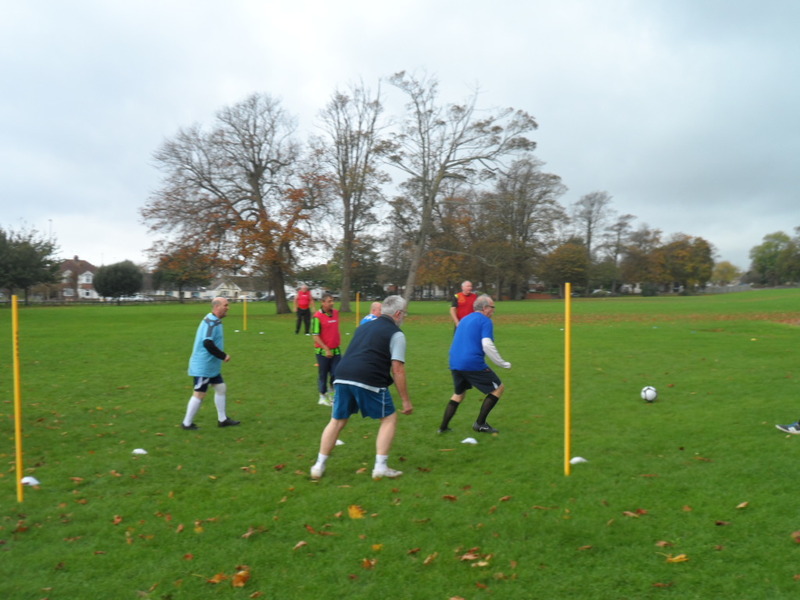 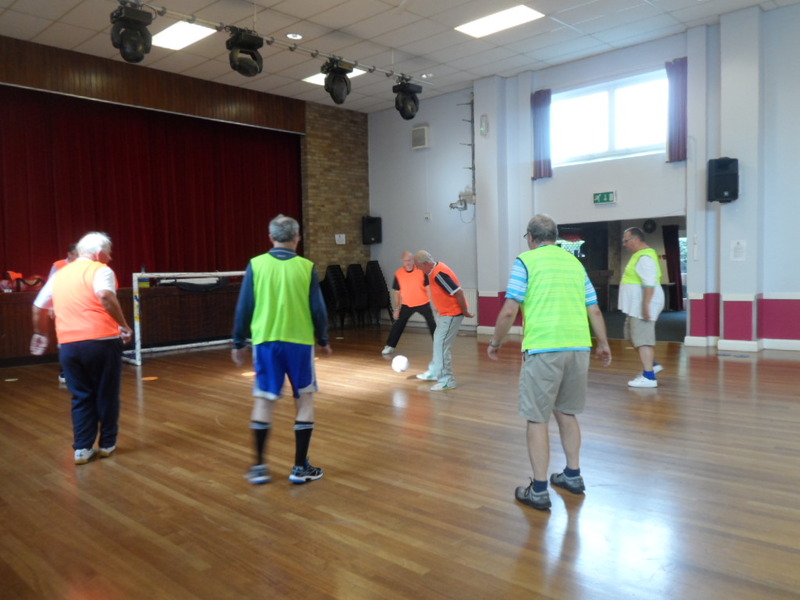 Walking Football in Lancing is gathering some real momentum with well attended regular games every Sunday at 10 am in Manor Park and soon to be announced afternoon games for those that can’t attend the Sunday morning sessions. I attended two games recently and straight away I was surprised at how competitive the players were. Everybody playing had played a bit of football before, some even at a professional level; many of the other players just liked the game and played with friends in the past. Keeping fit and active as you get older is so important; walking football is a great way to get that exercise while having fun at the same time. 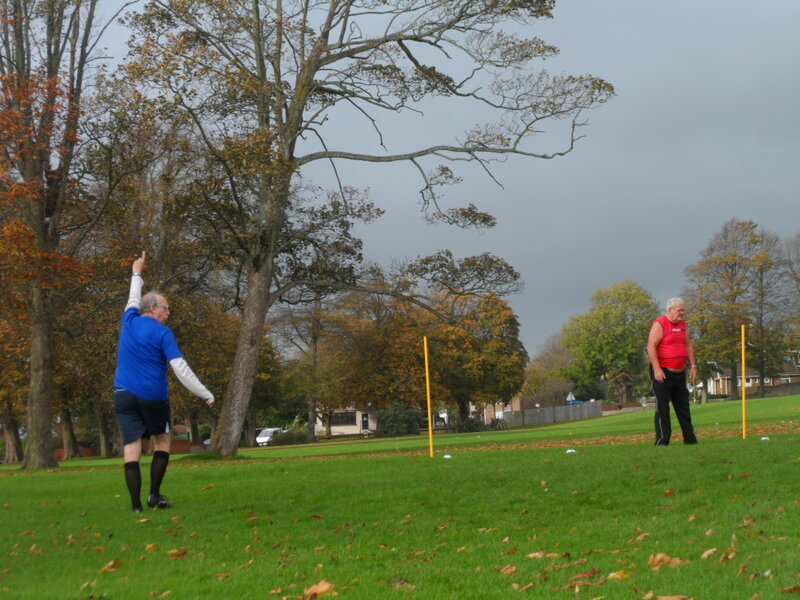 Many find running or other forms of exercise boring; there were no bored players this Sunday I can tell you, everybody was giving as much as their bodies and the rules would allow. 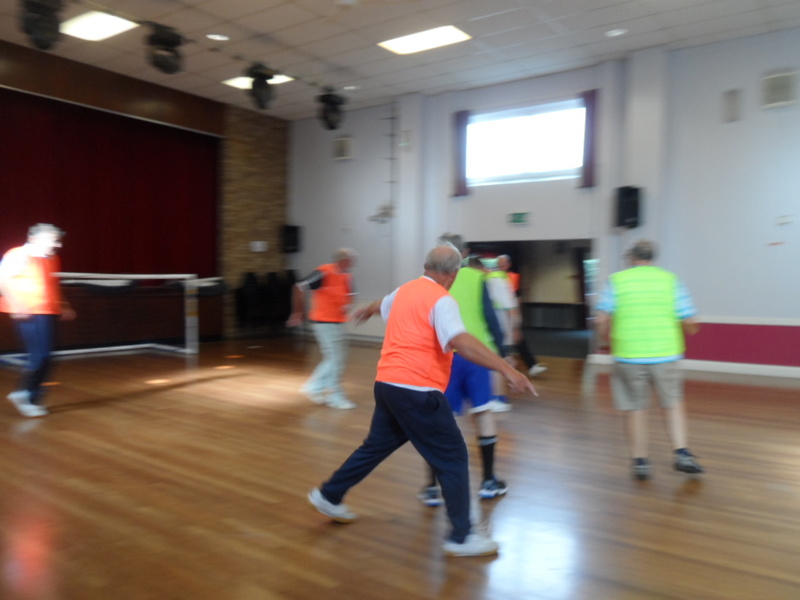 Just because its walking football doesn’t mean the players and teams don’t want to win, the play was fierce at times with fast walking and movement on and off the ball. If anybody was caught running then a free kick is awarded to the other team. The definition of what is running and what is walking is a hotly contested subject I can tell you. 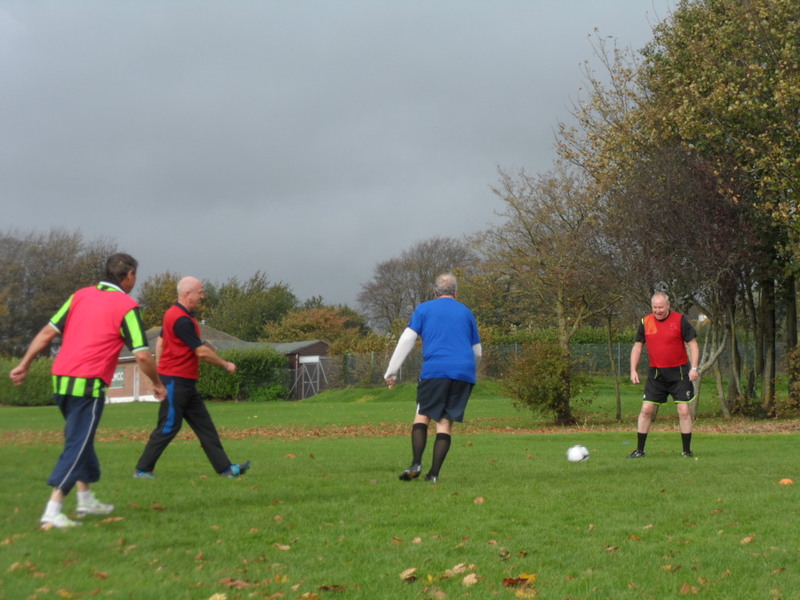 Walking Football is designed to help adults keep an active lifestyle irrespective of their age, as well as getting those back playing football who perhaps had to stop due to previous injuries. 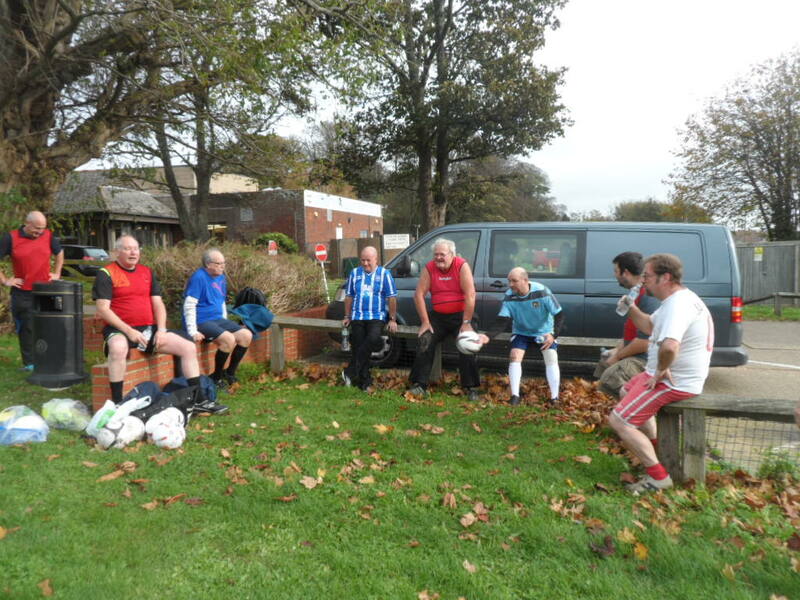 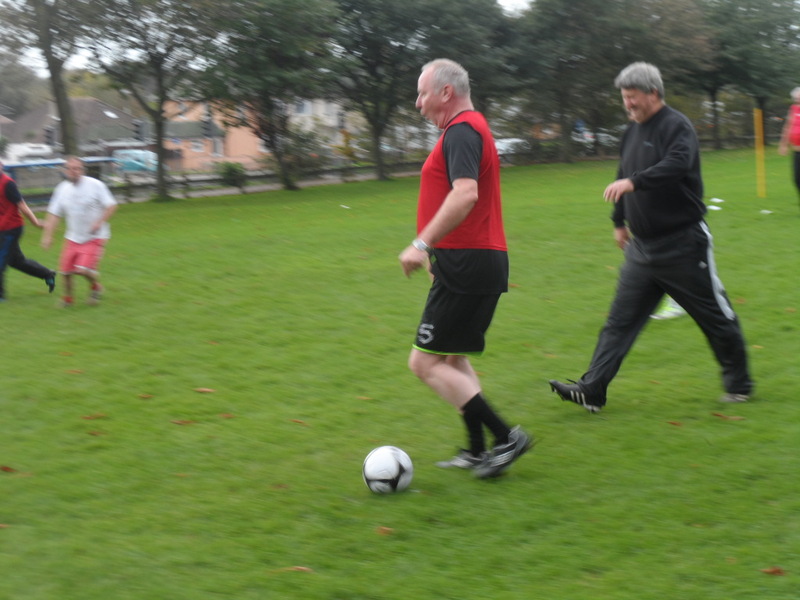 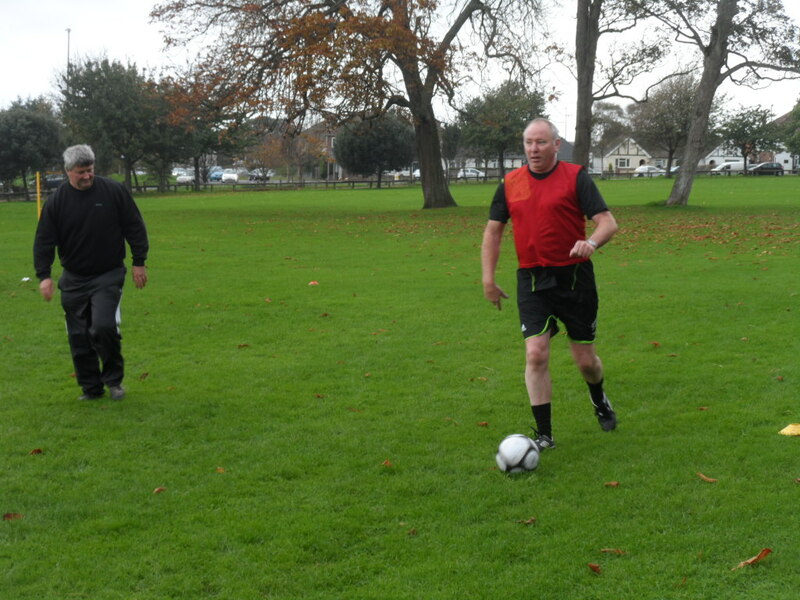 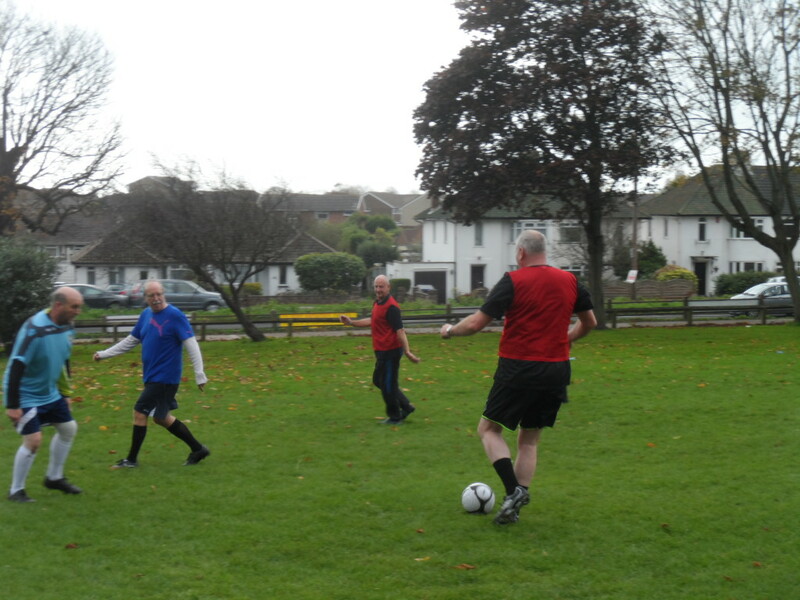 Lancing Walking Football was set up by local resident Andy Brook with support from Steve Phythian, Football Development Officer (Coach Education) at Sussex County F.A. 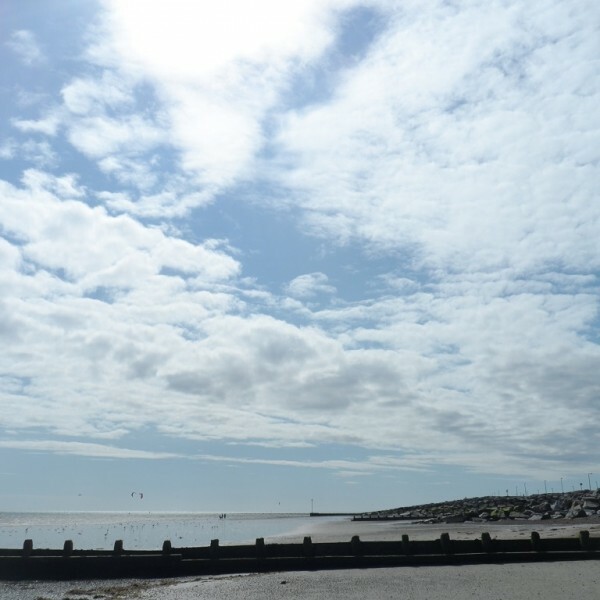 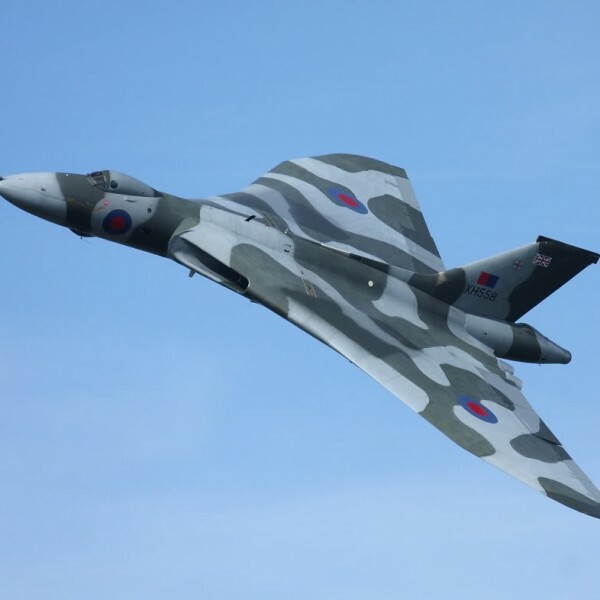 Further support is been provided by James Newton, Activities Development Officer, Adur and Worthing Wellbeing. For more information about Walking Football in Lancing visit the Lancing Walking Football Website. 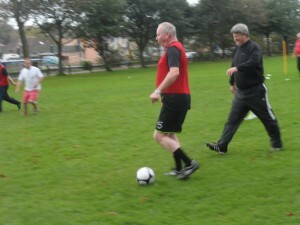 Better still turn up next Sunday at 10am and play a game.